Two phrases can put me in a tailspin - What's for dinner and I'm starving. Any busy family understands that dinner time can require a master plan. From after school activities to general life, finding the time and energy to make a nutritious dinner for everyone can be a harrowing experience. With the Hungry Family Slow Cooker Cookbook, dinner just got a little easier. The brilliance of a slow cooker is that you can put all the ingredients into a single pot. After a period of time, a meal is complete. From a small amount of clean-up to minimal effort, slow cooker meals are great for busy families. 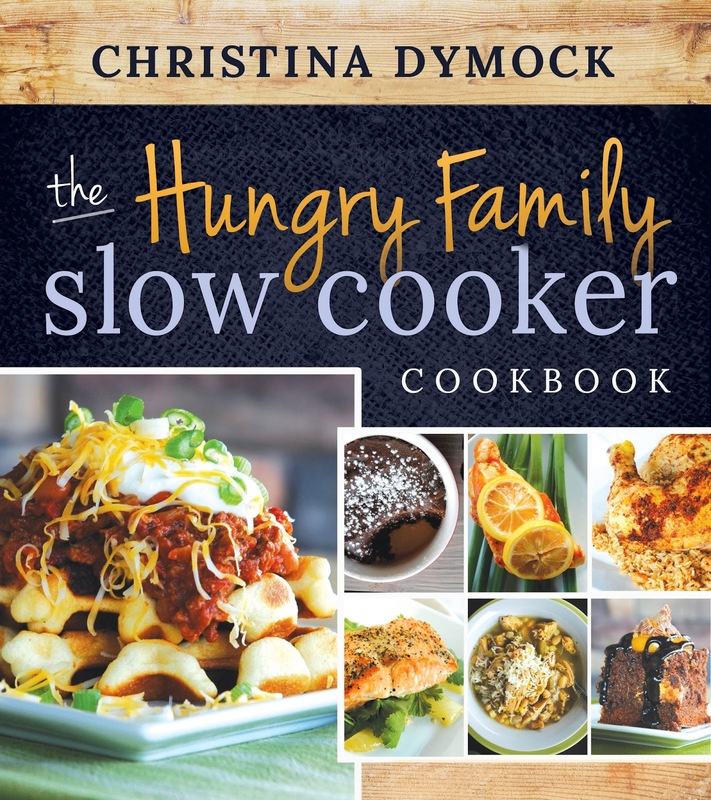 The Hungry Family Slow Cooker Cookbook shares a variety of recipes that any family would enjoy. From meat and poultry to decadent desserts, there is a recipe for almost any day of the week. "It's every busy mother's dream-come-true: dinner that makes itself! With the help of your trusty slow cooker and these healthy, easy recipes, like Peppery Cilantro Salmon, Sausage Stew, and Dark Chocolate Mini Cakes, you can put dinner on the table even on the craziest of days. Don't let the whirlwind of life stop you from feeding your family the food they deserve -- delicious, home-cooked meals straight from your slow cooker." This cookbook helps home cooks get out of their comfort zone. While the slow cooker is a staple for chili and pot roast, this small kitchen appliance can be used for much more. From fish to dessert, there are many uses. Busy families like the slow cooker because it frees time for the multitude of other activities in their lives. There is nothing better than coming home, hungry to a house filled with a delicious aroma. The biggest difference with this cookbook is that the recipes are simple and easy to follow. For the beginner cook, the ingredients and instructions do not over-whelm. The pictures are enticing and provide a clear guide to the finished product. Each recipe builds confidence to expand the home cook's recipes. Sam's Club, Costco, Deseret Book, and other booksellers. Beat the dinner time rut. Put your slow cooker to good use and get cooking with the Hungry Family Slow Cooker Cookbook. I use my slow cooker all the time. Thanks! I am always looking for great slow cooker recipes!! Thanks so much for sharing! I would love to start making more meals in my slow cooker. I will be looking out for this recipe book. I love my slowcooker. I don't know how I could live with out it!